Only 16 in stock. Additional quantities will deliver at a later date. 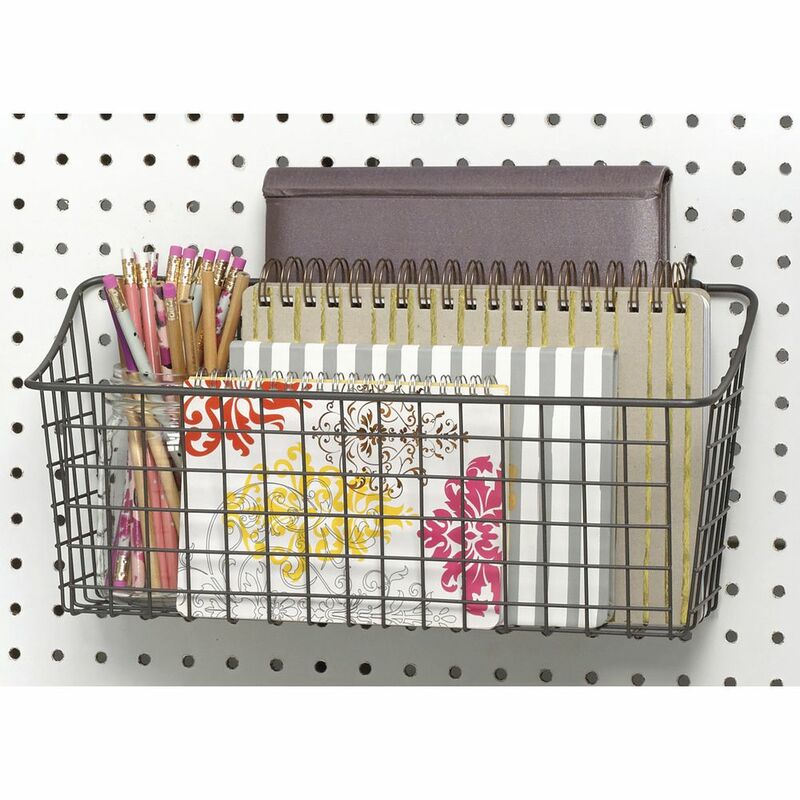 This pegboard display basket is designed to fit standard pegboards or slatwall and has the option for wall mounting with included hardware. The tapered front allows for a better view and access to merchandise. 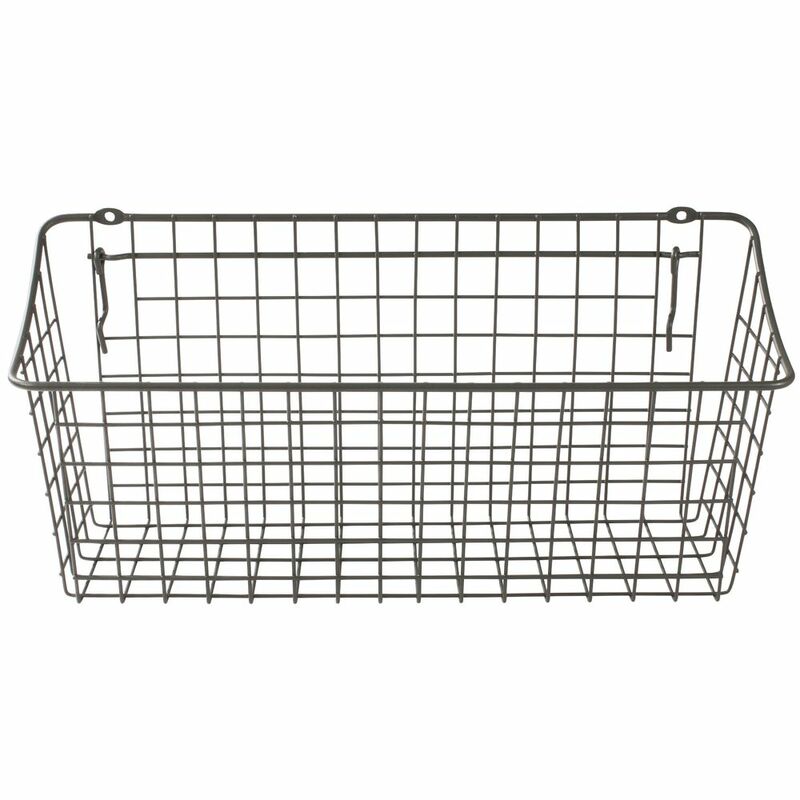 Overall dimensions of this steel display basket measure 15 1/4" x 5 1/2" x 7" (W x D x H). Chrome Slatwall Hat/Ball Display, 4 1/4"
Industrial Grey Display Basket, 11 1/4" x 13 3/4" x 8"